The German Bundesliga continues through to week 21. 16-points separate the leaders from the second placed Leverkusen, but it’s only 2-points for the divide between second and fifth place. Once again, expect more changes in the top four positions with the exception of the leaders, Bayern Munich. 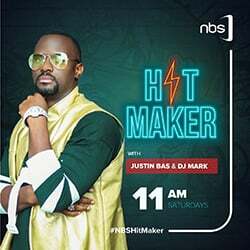 Do not miss the German Bundesliga on Sanyuka TV and Star Times this Saturday. Watch live Hertha Berlin Vs TSG 1899 Hoffenheim on Sanyuka TV Ch. 222, Star Times. FC Koln v Borussia Dortmund – Müngersdorfer Stadion; 10:30PM-Local Time. Dortmund have not won a match since the start of the second round of the German Bundesliga but have managed to draw all three: Getty Images. 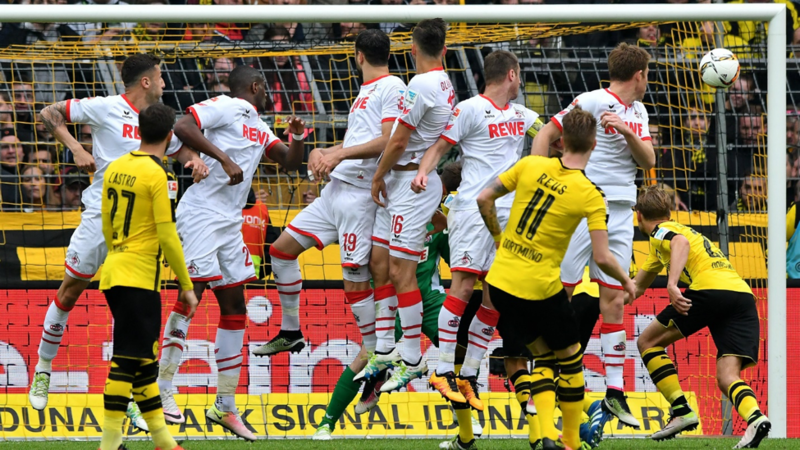 FC Koln host Dortmund on Friday in this week’s opening encounter. Peter Stoger’s visits the Müngersdorfer Stadion for the first time since being sacked as Koln Manager in December. The Westphalians have not won a game since the winter break, but have at least managed three consecutive draws for the three points of the second round. They last beat Hoffenheim 2-1, during Peter Stoger’s second game at the Club. The Black and Yellows have not won a game at Koln since 2012, when they were crowned Champions of the Bundesliga. Maybe yes, maybe no, this time they are not anywhere Close to what they were then, neither are they where they were at the start of this campaign. Meanwhile, Die Geißböcke have picked up ten-points in their last four Bundesliga games and have now gathered the moss to stand ground against relegation. 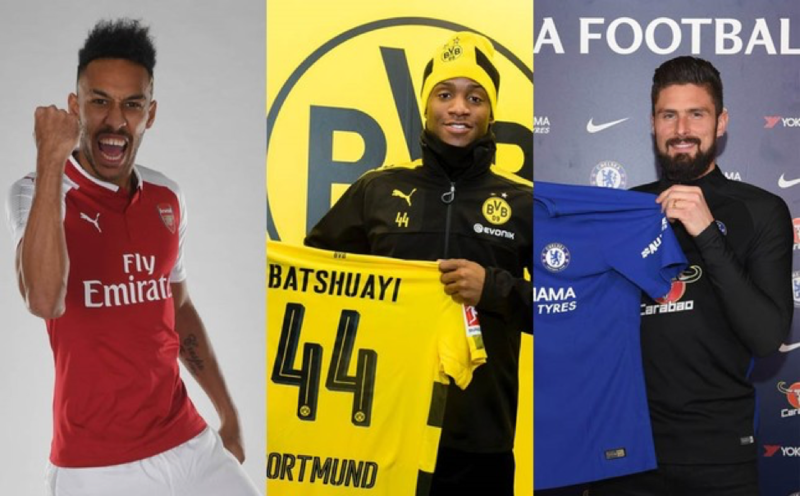 While Dortmund will have to come to terms with the departure of their top scorer since the departure of Robert Lewandowski and settle for ‘Chelsea-flop’, Michy Batshuayi, Koln have added a more creative option in central midfield with the signing of Vincent Koziello. Dortmund will have to capitalize on the form of Belgian striker, Michy Batshuayi, for some fresh breath in front of goal when they visit bottom side, 1. FC Koln. As Peter Stoger gets under more pressure to improve his side, especially in attack, Dortmund’s chances could be bolstered by the return of Raphael Guerreiro who could provide more attacking options than Jeremy Toljan at left-back. Only three players remain at the Club since Dortmund’s last victory at Koln, but a hard fight from Michy to prove a point could prove the difference. 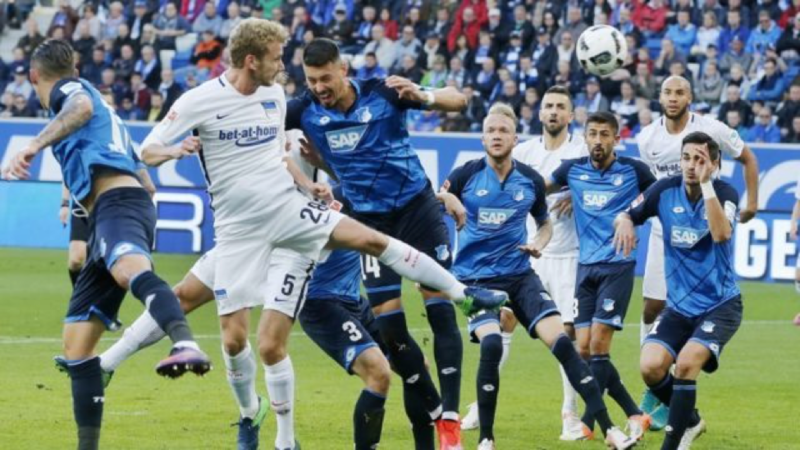 One-point separates TSG Hoffenheim from Hertha Berlin in ninth and eleventh place respectively. The two sides appear to be writing the same story this season, experiencing a more turbulent campaign than they did last season. But Hertha in particular have been more unpredictable. While Hoffenheim have seen several chances at both ends, conceding one more than their score-tally, Hertha have been better at making the balance come to book. They have scored and conceded twenty-seven. Julian Nagelsmann’s side have only picked up one point from their last four liga games and have shipped-in nine goals in their last two games, falling 5-2 at Bayern last week and 4-1 to Leverkusen two weeks ago. They have keep sliding away from European football places. However, they could look at their positive record against the old lady from Berlin for a ray of hope. Hoffenheim have beaten Hertha four-times and lost once in their last six meetings. They will have Kerim Demirbay back after successfully recovering from a thigh injury. Both sides will have no new faces to after winding up the winter window without new signings. Hertha have not been any good at home like they were last season, managing only half of a possible thirty-points but Hoffenheim have also been horrible at home managing only nine-points in their last ten outings. Rune Jarstein is likely to be on bench for another game, with Thomas Kraft starting in goal again. Jordan Torunarigha and Fabian Lustenberger compete for a spot at centre-back. Mathew Leckie and Alexander Esswein offer further alternatives on the flanks. Kevin Akpoguma Stefan Posch challenge Ermin Bicakcic for his spot in the back-three. Florian Grillitsch could get another chance in central midfield if Kerem Demirbay does not recover from injury in time. Andrej Kramaric and Ádám Szalai offer alternatives up front if manager Julian Nagelsmann decides to rest Mark Uth.